Sivaji Ganesan is known for Uttama Puthiran (2018)	,Manamagan Thevai(2018) and Padayappa(1999). Do you look like Sivaji Ganesan? The threads of cinema and politics run deep and are intertwined in Tamil Nadu. As DMK president M Karunanidhi turns 94 today (he was born on 3 June 1924), we look at his words that shaped his path in Tamil politics. From casting and direction, to acting and music, Thevar Magan raised the bar in every department in Tamil cinema. Here's why it's still a delight to watch the film 25 years after it first hit the screens in 1992. M Karunanidhi's meaningful, irreverential and hard-hitting dialogues, delivered by Sivaji, struck society so hard that it was forced to wake up from its slumber and search for its long-lost conscience. 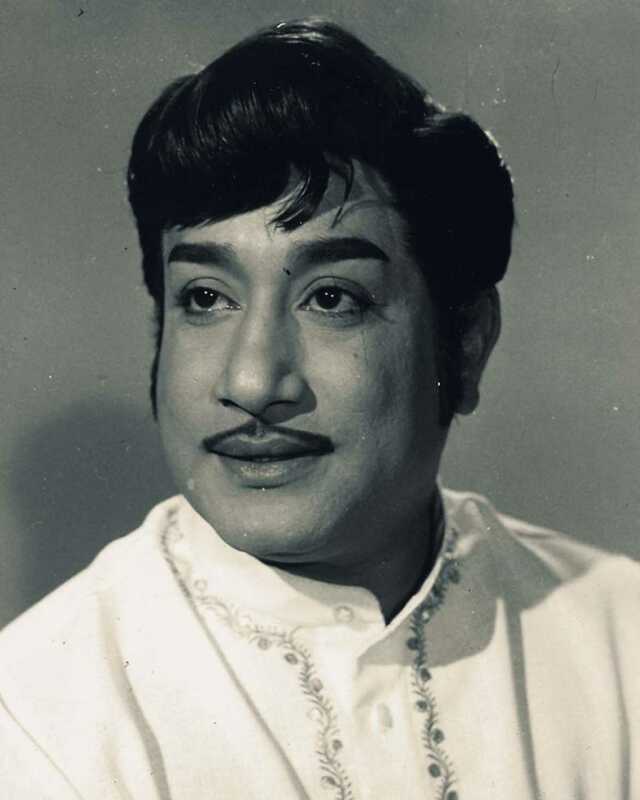 An actor trained in the traditions of company theatre, Ganesan pioneered the style of grand standing dialogues and expressions in the early age of Tamil cinema. On his 16th death anniversary (he died 21 July 2001), we remember the man who shaped the style of Tamil cinema in its early days. I declare that I wish to represent "Sivaji Ganesan"